Ashley James Woodcock (born 27 February 1947) is a former Australian cricketer who played in one official Test and one ODI in 1974, though he also appeared for Australia against a Rest of the World XI in 1971/72. A right-hand batsman from Adelaide, he played nine seasons for South Australia in Australian domestic cricket between 1967 and 1979, though a decline in form ended his career by the age of 30. He later became a coach in local club cricket, and a lecturer at La Trobe University. Woodcock was educated at Prince Alfred College and became close friends with future Test captain Greg Chappell. Woodcock made both of his two international appearances again New Zealand in the first few months of 1974. His Test debut came on the tour to New Zealand in January, when he was selected to open the batting with Keith Stackpole due to Paul Sheahan's unavailability to tour the country later in the year. Woodcock played in the third Test, with Australia one-up in the series thanks to an innings victory at Melbourne and a draw at Sydney. 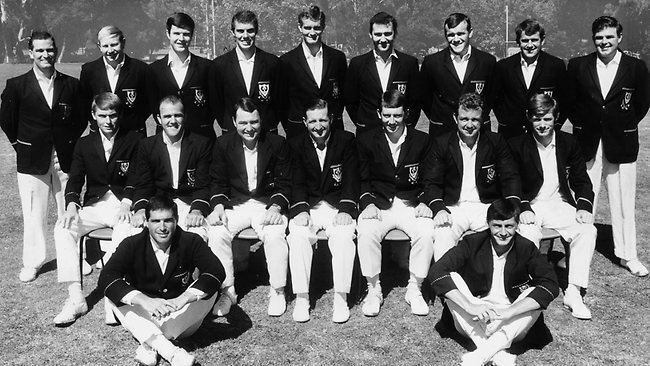 Batting first, Australia amassed 477 largely due to Rod Marsh's century, with Woodcock scoring 27. New Zealand were forced to follow on with consecutive innings of 218 and 202 before the match was rained out to a draw. Woodcock did not feature again in the Australian line up until the side went to New Zealand in March and played a two-match ODI series. The first, which the tourists won by seven wickets, featured a two-ball duck by Ian Redpath. Woodcock replaced Redpath for the second game, and cracked 53 from 66 balls with five fours and a six as Australia reached 265. Despite a century from New Zealander Ken Wadsworth, the host nation fell to 234 all out, 31 runs short. Wisden referred to Woodcock's knock as a "pleasant innings".